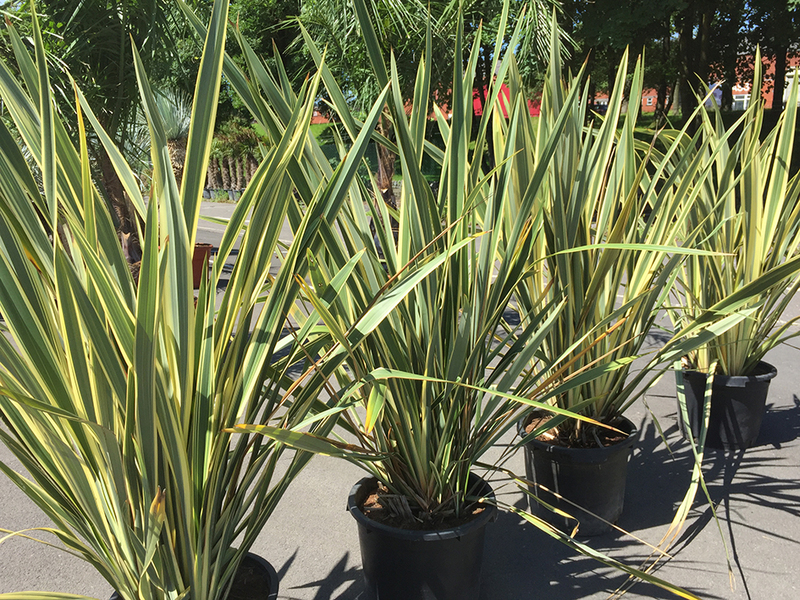 Phormium tenax 'Variegatum' is a selected cultivar of New Zealand flax. Spear-like green leaves have a yellow banded variegation. Fantastic addition to the tropical garden, being large hardy and beautiful.